Heavy, yet restless. Capable, but captive. 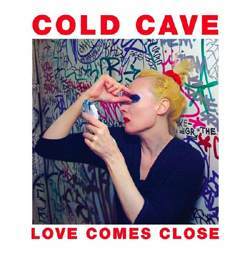 From THE BRAVERY’s commanding, “Stir the Blood,” to COLD CAVE’s haughty, infectious, post-synthetic, “Love Comes Close,” it’s all about November’s tilt towards winter. While the industry wraps up another year before sleeping beneath a sheath of reissues and compilations here are six instances of saving the best for last. Postpone your hibernation. Three artists with newly-released gems visit Madison this month. High Noon’s Nov. 6th include THE MOUNTAIN GOATS who channel real-life faith, challenging wavering skepticism and destiny’s accidents on, “The Life of the World to Come.” Keen and stylish ERIN MCKEOWN wrings twisted folk-pop gems from, “Hundreds of Lions,” performing a literary cabaret of sparkling art songs at the High Noon Nov. 9th. Finally, MILES ANTHONY BENJAMIN ROBINSON plays UW Nov. 14th; his sprawling, “Summer of Fear,” paints rambling gambles around intimate kinships.